The Wilson Solution FIBA Game Ball basketball is suitable for high level competitive indoor game. It features the patented moisture absorbing cover with Aqua-Grip composite leather pebbled channels. It results the basketball with improved grip and performance which is recommended by many European leagues. The Wilson Solution FIBA Game Ball basketball also comes with the Cushion Core Technology which is a combination of low-density sponge rubber with extremely durable butyl rubber. This patented cushioning system guarantees exceptional feel. for submitting product information about Wilson Solution FIBA Game Ball Basketball We aim to answer all questions within 2-3 days. 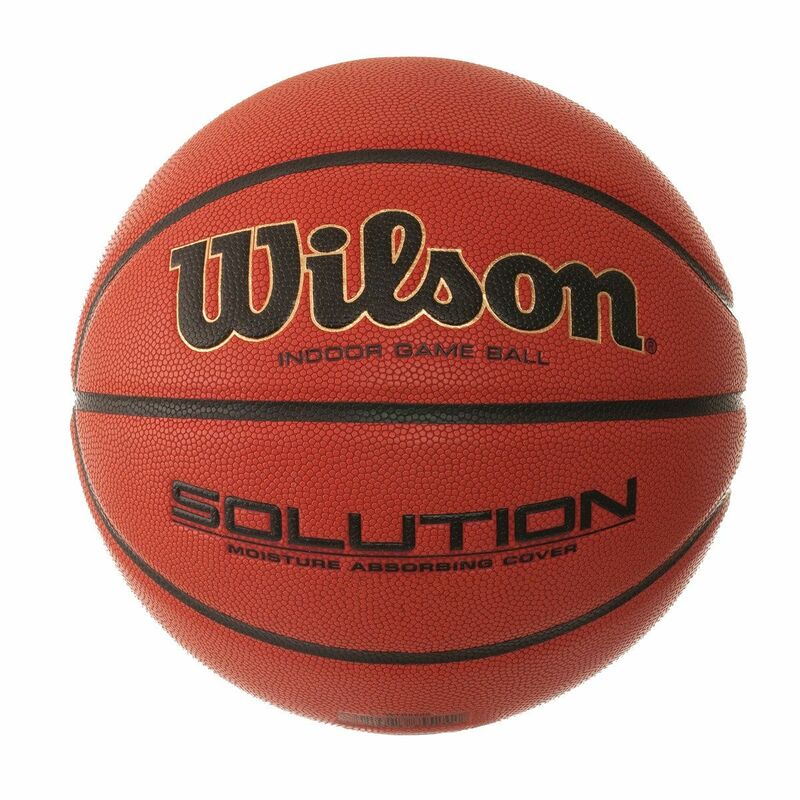 for submitting product information about Wilson Solution FIBA Game Ball Basketball. We aim to answer all questions within 2-3 days. If you provided your name and email address, we will email you as soon as the answer is published. Where is this ball made? This item is Manufactured in the US. Fantastic grip and me and my mates just enjoy playing that ball. Strongly recommend to all Basketball players! for submitting product review about Wilson Solution FIBA Game Ball Basketball.